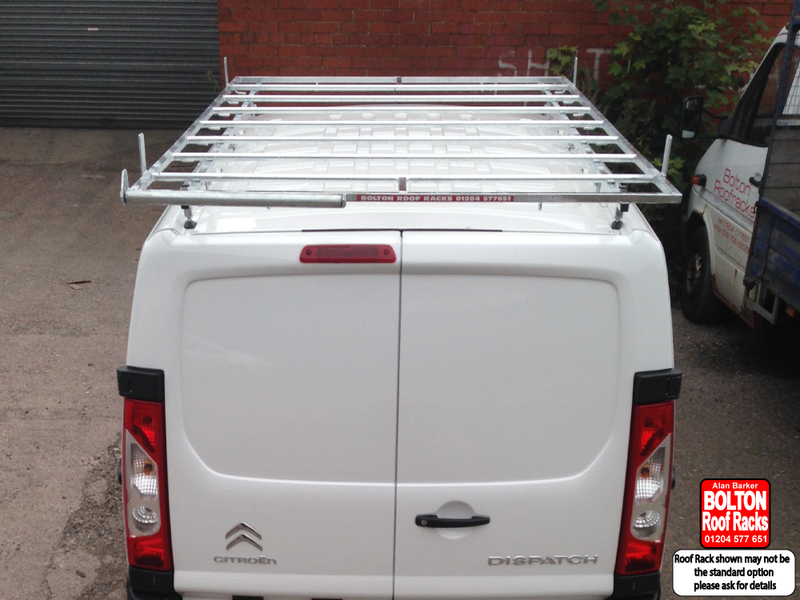 Citroen Dispatch L2H1 Roof Racks from Bolton Roof Racks Ltd. Roof Racks for Citroen Dispatch Models we hold in Stock. The Citroen Dispatch is a very popular vehicle. Citroën Dispatch is a light commercial vehicle produced at Sevel Nord since 1994, now in its second generation. The second generation gained an increase in cargo space and more body styles over the older generation. It was launched in November 2006, with deliveries beginning in principal markets in January 2007. Get the best out of your Citroen Dispatch by adding a Roof Rack.